Somalian player Faisal Aden (193-G-89, college: Washington St.) beat the record of FIBA points in national team with 59 points during the game against Rwanda for the Afrobasket zone V qualifiers. In spite of its 59 points Somalia was defeated 83 to 88. Aden, the player of Washington State in NCAA added 10 rebounds, 3 assists and 7 steals in 39 minutes. He beats the old record of 55 points detained by the Brazilian Oscar Schmidt during the Olympics of Seoul in 1988. Mogadishu Beats Mombasa Sharks In Its Debut Africa City Challenge Basketball Game Mogadishu City on Monday beat Mombasa Sharks 83-62 in a hotly contested game at the Nyayo Stadium Nairobi. Mogadishu players most having experience playing in North America turned to be too good for their rivals Mombasa in the Kwese Africa City Challenge a tourney bringing together basketball teams from the regions main cities. Mogadishu will be facing its second challenge in a game with Juba South Sudan. Somalis living in Nairobi packed the Nyayo stadium to offer support to their home city. "Congrats to Mogadishu city basketball team on winning the match against Mombasa today" Mogadishu Mayor Thabit Mohamed tweeted upon receiving the news. "Mogadishu is rooting for you for the coming games" Thabit added. 9 Yusuf Qaafow 190-G-87 Brisbane S.
11 Dahir Haji 193-F/G-90 Texas Coll. Keravnos Strovolou (Division A) signed 31-year old Somalian ex-international forward Mohamed Abukar (208-85, college: San Diego State, agency: Two Points). He is a dual citizen owning also American passport. Abukar played last season at Sigal Prishtina in Kosovan SuperLeague. He managed to play in three leagues last year. In 22 SuperLeague games he had 13.4ppg, 3.8rpg and 2.2apg. Abukar helped them to win the league title and the cup. A very impressive season as he was named to Eurobasket.com All-Kosovo League 2nd Team and to the All-Star Game. Abukar also played 6 games in FIBA Europe Cup where he recorded very remarkable stats: 16.0ppg, 5.2rpg and 1.5apg. And finally he contributed to 15 games in Balkan League where he was fifth best scorer with high stats: 17.7ppg and averaged 4.5rpg, 1.9apg and 1.0spg. Abukar contributed to his team winning the Balkan League championship. Quite impressive season as he was voted Eurobasket.com All-Balkan League Player of the Year, Import Player of the Year and Forward of the Year. The previous (14-15) season he played at Shinshu (BJ League) in Japan. In 45 games he got high stats: 17.5ppg, 4.9rpg and 2.6apg. A very spectacular season in his career as he was named to Asia-Basket.com All-Japanese BJ League Honorable Mention. 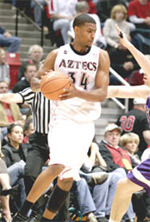 In 2008 (a year after he left the college) Abukar was drafted by Austin Toros (D-League) in second round (17th overall). He attended San Diego State until 2007 and it will be his tenth season in pro basketball. The list of the past achievements is quite long as among others Abukar was voted Eurobasket.com All-Swiss LNA Player of the Year back in 2012. He was a member of Somalian Senior National Team in 2013. Abukar is quite experienced player. He has played in seven different countries on three different continents (Europe, Asia and of course North America). Abukar has played previously professionally in Belgium (Spirou Charleroi), Bulgaria (Lukoil Academic Sofia), Holland (ABC Amsterdam), Italy (AV Cantu), FYR Macedonia (Rabotnicki), D-League (Idaho Stampede and Austin Spurs) and Switzerland (Lugano Tigers). He could be described: A quick and agile forward, with good fundametals, who can score well from inside and ouitside the paint. Has a good shooting range, runs very well the court for a player of his size.